A.C. Haury at Bibliophile Book Reviews had great things to say about Bend Me, Shape Me, and gave it 4-stars! Not bad! And just in time for the release of the paperback version expected out July 22. 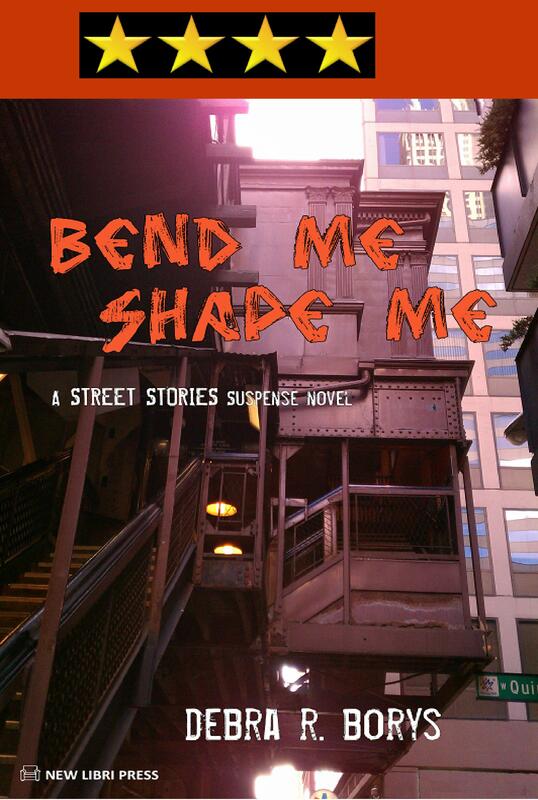 “Bend Me, Shape Me” by Debra R. Borys is a gritty, riveting, and intriguing eBook that delves right into the dark and often twisted underbelly of inner city life. This is a well written book that definitely delivers a punch. I didn’t give it five stars, because as someone who lives in the inner city it is hard to shock me, but for readers who are not as familiar with the innerworkings of less than desirable folks and groups that seem to congregate in urban settings, “Bend Me, Shape Me” is definitely going to deliver a jolt. I’m looking forward to Debra R. Borys future works – She’s definitely an author to watch out for! via A.C. Haury: Book Review for Bend Me, Shape Me by Debra R. Borys. With the paperback version of Bend Me, Shape Me releasing soon, there should be more reviews to read soon. Here’s one that just came in today.